Running a successful nonprofit organization can be a difficult prospect, particularly for smaller, local NPOs who may not have a “lightning rod” cause—an urgent, highly visible problem that draws people to participate in the organization through donations, volunteering, and word of mouth. How can a small NPO—say, a local food bank—generate a level of buzz comparable to its larger, flashier counterparts? Can digital marketing strategies used by larger nonprofit organizations be harnessed to engage a smaller community in an effective way? Recently we chatted with our client Maria Thomas, CEO of Community Food Bank of San Benito County, a local food nonprofit operated in rural San Benito County, California. Founded by local visionary Novis Percival in 1989, Community Food Bank (originally called Community Pantry) served 35 families in their first year of operation. Today they serve close to 5,000 families every month. The mission of Community Food Bank is local and ongoing. There are no immediate disasters in their neck of the woods—no national news coverage or celebrity-hosted telethons. But they are getting their message out, and people are responding. That’s not to say that anything at the food bank happens by accident. Maria’s team, with help from SafeHouse Web, has developed and implemented a plan to engage people in the community and get the word out about the food bank. Despite having no local radio station nearby, no truly local newspaper, and very few traditional outlets where a food bank would be able to spread the word about their cause, Community Food Bank is thriving. 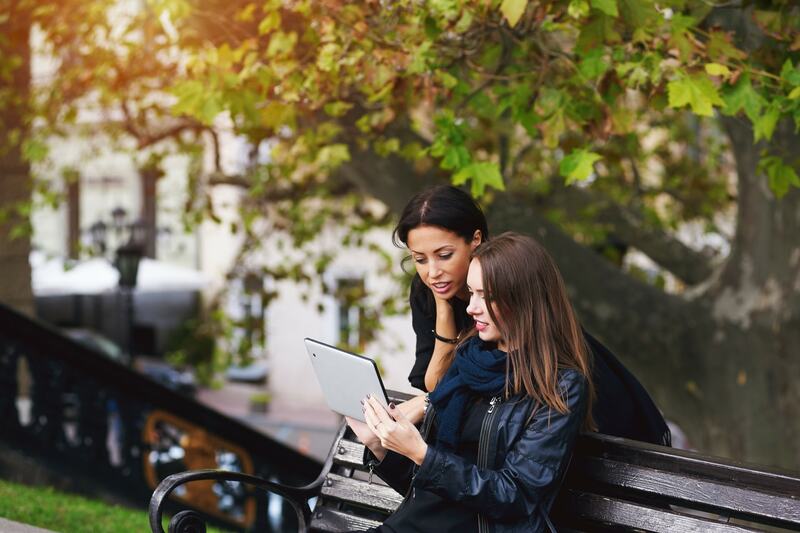 So, what’s the secret to their community-engagement success? Maria and her team set out to change that. They began holding weekly meetings to discuss what their story truly was, and how to best share it with the community. With so few local advertising options readily available, they turned their focus to social media. The Community Food Bank team began posting regular updates on Facebook and sharing their story with the community. Maria’s partnership with SafeHouse Web was to approach online strategy as a long-term investment. Together, we’ve been steadily sowing the seeds of their story on Facebook, Twitter, and Community Food Bank’s website. Now, we’re watching as the community continues to grow. 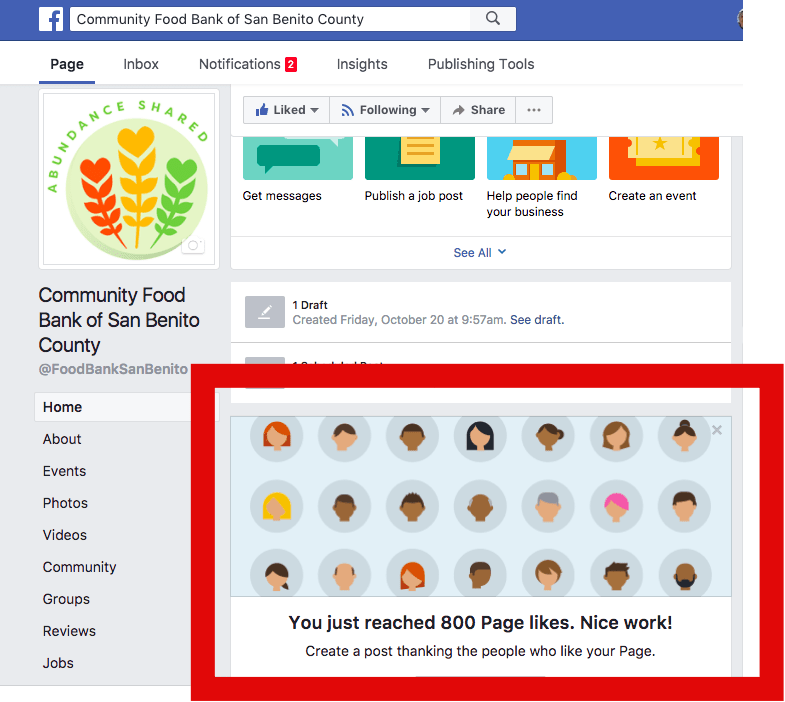 The organization’s Facebook page recently passed 800 Likes, a 79% increase over 24 months, and no small accomplishment for a locally focused NPO working in a small community. Their strategy paid off. Soon Maria was invited to be a part of the opioid task force for San Benito County, something that wouldn’t seem to mesh with a food bank’s goals at first glance. But Maria saw it as an opportunity to further the food bank’s fundamental mission, which is to make San Benito a healthier community. Digital marketing for nonprofit organizations can be difficult—especially for smaller, local organizations. But it is possible. With a great team and dedication to the shared vision, you’ll be ready to grow your own community-engagement success story. SafeHouse Web is Silicon Valley digital marketing company in Hollister, California, that provides expert WordPress website design, social media marketing, and proven SEO solutions. Email us at hello@safehouseweb.com or call (831) 205-0077. Byron Leavitt is a creator, to put it simply. Whether it's authoring books, designing graphics and websites, or copywriting for businesses and nonprofits, Byron is happiest when his imagination is given freedom to roam and create. He lives with his wife and their two girls in the beautiful Pacific Northwest.